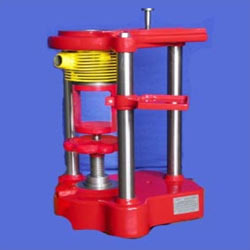 Leading Manufacturer of single jack boring stands for automobile from Ghaziabad. We are one of the prominent names of the industry that engage in the manufacturing and supplying Single Jack Boring Stands For Automobile. Made available in numerous specifications, these sturdily constructed stands are vastly appreciated for their high load bearing capacity, longer working life and efficient performance. Our quality controllers check the flawlessness of the assortment before handing over to the clients. Looking for Single Jack Boring Stands For Automobile ?